The original number of the social security number is to track an individual’s accounts within the Social Security program. If you are an employee, a student, or a patient your records are indexed in the Social Security number. As the social security card is essential to your daily living, one must use it carefully since most of the financial transactions made by a person with a social security card, they are asked for their numbers. The social security number is asked and is required when a person gets a new job. Employers ask for the new employee’s social security number for their employment records. This is to identify that the new employee is an eligible citizen of the United States of America. The potential employer wants to do a background check on you and it is easier for your employer when he or she has your social security card. The Internal Revenue of the state asks for a person’s social security number, may it be federal or state. This is to monitor the person’s working hours for his or her future benefits. In applying for a bank or credit card, the monetary institutions will ask for a social security number to check your credit history. There are some other banks who accepts another form of identification information than requiring a social security number. 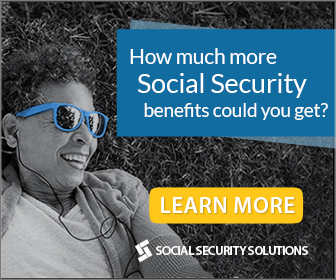 The social security number is used for medicare applicants or to apply for medicare benefits. This is to identify your eligibility, moreover with this transaction, one can reduce the cost of his overall medical treatment and tests. Social security number is a key holder of your identification and eligibility as a citizen of the United States thus, one cannot apply for a fishing, hunting, and other recreational activities if you are not a social security card holder. As it is needed for every transaction in our daily living, one must refuse if the authority or person looks doubtful. You should know how to refuse when to give out your social security number to avoid the occurrence of identity theft.